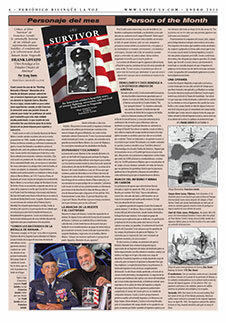 Click here for a hgh-resolution PDF of the January 2011 issue of La Voz, pages 1-11. 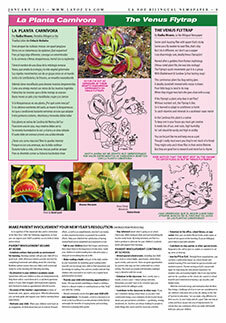 Click here for a hgh-resolution PDF of the January 2011 issue of La Voz, pages 12-20. Click here or on page 3 above for "The Bracero Program"
Click here or on page 4 above for "Critica al libro 'Survivor' de Francisco Lovato. A book review of 'Survivor' by Francisco Lovato. The story of Frank Lovato: an American soldier, a heartfelt story of intense fighting, surrender and survival. 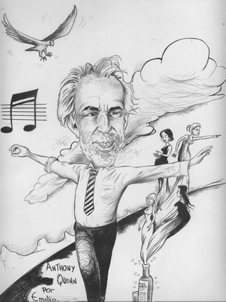 Click here or on page 9 above for "La Planta Carnivora / The Venus Fly-Trap"
Click here or on page 13 above for "Anthony Quinn"
Page/Página 1: El Acta Dream pierde ante el Senado...pero gana una generación de ganadores. The Dream Act loses... but gians a generation of winners. Frank Lovato: an American soldier, heartfelt story of intense fighting, surrender and survival. 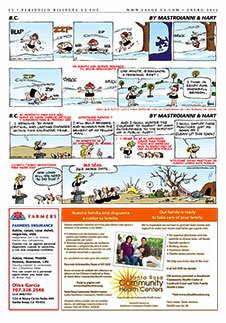 Página/Page 12-13: Bilingual Cartoons and Anthony Quinn. 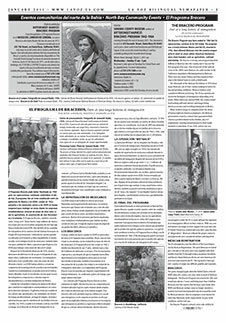 Página/Page 14-20: Articles on health, fitness, immigration, cooking, and more!